There are several advantages of having overnight oats for breakfast – there is no cooking required, they are prepared the night before and it is healthy and delicious. This is the basic recipe. There are a vast number of recipe combinations so you can be creative. • 1 cup liquid – I prefer non-dairy milk, either coconut, almond or cashew milk. You can use soy milk but make sure it is organic/non-GMO as most soy in the U.S. is GMO. You can also use 50:50 combinations of unsweetened yogurt and milk. You can adjust the liquid depending on how thick you like your oatmeal. • Sweetener – You can use honey, pure maple syrup, coconut sugar, or brown sugar, raw cane sugar or organic apple sauce. • Nuts – Toasted and chopped or slivered are best. Toasted coconut is also delicious as a topping. Mix the oats, chia or flax, milk, sweetener and spices in a mason jar. Place fruit and nuts on top. Seal and refrigerate overnight. *If you have sensitivity to gluten or want to be gluten free, make sure to buy gluten-free oats. 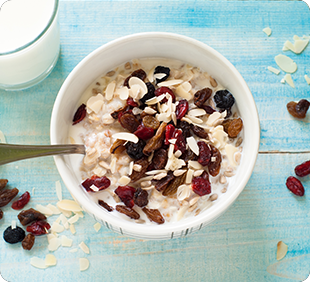 Oats do not contain gluten but are often contaminated in processing.